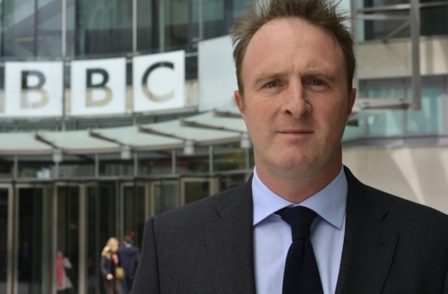 The BBC must concentrate on original journalism despite the mauling it has received as a result of the Jimmy Savile and Lord McAlpine incidents, the corporation’s head of news, James Harding has said. 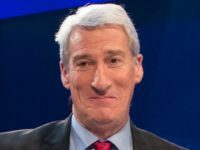 Speaking to staff in his first major address since joining the BBC, Harding said: “Our response to Savile and McAlpine should not be that we shy away from investigative reporting and the coverage of difficult issues. In fact, we must renew our commitment to curious, inquisitive journalism in the public interest. Harding said that original journalism “honours our contract” with audiences and that locally and nationally the BBC should hold various authorities to account. He said the BBC was unique with the number of correspondents around the globe speaking a range of different languages, meaning they are able to bring breaking news to the audience shortly after it happened. The former Times editor said he was introducing a News Impact Fund and new news editor reporting directly to him. Harding said he will appoint a news editor who will report directly to him who will have two deputies, one responsible for forward planning and the other concerned with weekends. He said: “The best of what we do is exceptional: the recent Panorama on the Military Reaction Force in Northern Ireland; the innovative and brilliantly-told stories in our BBC Three documentaries; Robert Peston on Shopping on BBC Two; The Report on Radio 4 on why Pope Benedict resigned. Harding said in future the BBC would have to be more flexible when working on news stories or preparing current affairs programmes. 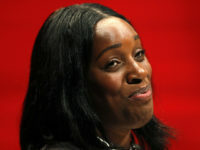 Harding said the corporation faced significant challenges to deliver improved news output with less money available. Harding said part of the transformation within the BBC will be a full performance review of all senior managers before Easter. On my first day here, I told you that any journalist would be proud to join a news organisation such as this. Since then, I have discovered that I was more right than I knew. The BBC is the best news organisation in the world. I don’t say this simply because the popularity of BBC News is unrivalled; nor because we command levels of trust unmatched by any other provider of news; nor because I believe BBC News provides extraordinary value for money. No, I make the claim based on our journalism. In my short time here, I have seen the courage of our reporting in the likes of Ian Pannell, Lyse Doucet and Jeremy Bowen and their teams working out of Syria; the calibre of our judgment in Nick Robinson and Brian Taylor’s coverage of the Scottish referendum; the commitment of our news teams to get to the most difficult stories, such as in the Philippines; the speed of our response to breaking news, as seen once again after Friday night’s helicopter crash in Glasgow. And I have seen the character of our journalism, whether it is an Inside Out exploring the Birmingham Bombings or a presenter on Radio Derby talking, candidly and generously, about his battle with cancer; the World Service bringing together 100 of the world's most interesting women; or, for that matter, Kirsty Wark showing that Susanna Reid isn’t the only one in News who can dance. The BBC is the best news organisation in the world. And yet, to my mind, the question is this: is it good enough? Do we break enough stories? Do we tackle important issues with sufficient impact? Are we keeping up with or setting the pace in mobile and social media? So while we could keep doing what we’re doing and still be the best, I’d like to talk to you today about how we can make it better – how we will deliver more original journalism, more of our own stories; what we have in mind for the digital transformation of BBC News; and what we can do to make BBC News a better place to work. Above all, I want us to have the confidence, the resources and the time to devote to more of the BBC’s own, original journalism. Our response to Savile and McAlpine should not be that we shy away from investigative reporting and the coverage of difficult issues. In fact, we must renew our commitment to curious, inquisitive journalism in the public interest. There are some who say that the demands of feeding the beast of daily output mean that we simply don’t have the time for our journalism. I don’t think that’s either true – or tenable. Across the BBC, I see local radio holding people to account where no one else is, I see us reporting from parts of the world where no one else goes, I see us breaking stories on Newsnight, the Today programme and Panorama. And, when we do, we demonstrate the public purpose of journalism and the distinctive value of BBC News. More than that, I believe original journalism honours our contract with our audiences: each of us at the BBC is given, in effect, the licence to be curious, to examine and to interrogate on behalf of the public. If we fail to act on that licence, we run the risk of being marginalised by other media, of being bland and of falling short in serving the public. But, when we act on that responsibility to question, when we lean into the news, when we harness the BBC’s singular combination of excellent people working to good values in the service of the public, then I believe that we are more likely than any other news organisation to get to the real story. Let’s start with holding people to account. In the offices of our local radio stations and regional TV operations – the places where the BBC does so much of its best work – we should play to that particular strength: accountability journalism. Programmes on local radio stations like the Hot Seat, the regional news bulletins and shows like Sunday Politics are essential in holding the powerful to account. Across the English Regions, we know people value the warmth, wit and love of what’s local in our broadcasting, but they also depend upon clear information and the opportunity to question those in control. And, in some communities, it is only the BBC that is providing that democratic function. So, we want to reinforce that by developing formats along the lines of Question Time, Moneybox and More-or-Less that work locally. We want to do more to register the importance of our local journalism nationally. And, as I’ll come to in a moment, we want to plug the local news network – both stories and people – into the national news output. The strength of our global news footprint is not only a point of pride for the BBC, but one that distinguishes us from all our competitors. It is our unique selling point – and we must showcase it. Our task is to ensure that all our audiences – globally and in the UK – get the benefit of the BBC’s unrivalled global reach. In particular, we will make more of the material on World News available to viewers in the UK. We will build on the growing success of our bilingual reporters, as has been so powerfully demonstrated by people like Anne Soy during the Westgate Mall attack in Nairobi. We will harness the expertise of the World Service and BBC Monitoring for domestic audiences. And we will earmark days and seasons for the dedicated coverage of the big global themes and the world’s unreported stories. To ensure that any journalist, whether they are in Luton, London or Lahore, can identify an issue, investigate the story and hope to land it on the news, we need to join up our efforts in original journalism. To do this, we will create a News Impact Fund – run by the Head of Newsgathering – to earmark key stories which cross the boundaries of local, national and international. We will bring together people from every relevant area – whether Global, English Regions or Current Affairs – to work on stories collectively. And we will use the fund to free people up to devote the time and resources to stick with a story. Alongside that longer-term focus on story-getting, we need to ensure we are more than the sum of our parts in getting after the news every day. So I’m going to appoint a News Editor, who will report directly into me and Fran, to drive the daily agenda. This will be a senior full-time role, based on the main news floor in NBH and working with programme editors to drive our pursuit of stories across the Newsroom, Newsgathering and Current Affairs. The News Editor will be backed by two deputies. One will be rooted in planning, so that we don’t lose sight of a story amidst the demands of the day to day. The other with responsibility for weekends so that we keep delivering our best work to what are often our biggest audiences. Current Affairs reflects the character of BBC News. It should define the ambition and the quality of BBC News as much as Frozen Planet did for BBC Natural History, as much as the Olympics did for Sport. The best of what we do is exceptional: the recent Panorama on the Military Reaction Force in Northern Ireland; the innovative and brilliantly-told stories in our BBC Three documentaries; Robert Peston on Shopping on BBC Two; The Report on Radio 4 on why Pope Benedict resigned. We have a reputation for our commitment to current affairs. And yet, I don’t think we generally punch our weight. Let me be clear what I mean by that. We’re a weighty organisation, and I’m very ambitious for our current affairs output. I want us to investigate, to analyse and explore the most significant stories we can find. How do we achieve that? The vital first step is that we need to be as sure as possible that we’re aiming at the right targets. That means shifting the balance between the time we spend researching a story and producing it. That matters because once a programme has been commissioned, it’s difficult and expensive to move it. So we need to change how we work in order to have a better idea of what we’ve got, before we commit it to a programme – and we need to be willing to move a story between programmes, and to make our telling of it longer or shorter, depending on its strength and importance. And, of course, we need to be willing to pull a story, if it’s not good enough. The aim, though, is to be landing stories of real impact. For that, we need also to have the capacity to commit to big projects, whether as films or international co-productions, and to think beyond the one-off, to seasons which give a real sense of moment to a theme or an idea. And Current Affairs is an endeavour which should involve all of us. John Birt used to say that Panorama is the spine of all our current affairs output. I agree, but I’d go further and say that Current Affairs in general is the backbone of BBC News. So much of what we do hangs from it; so much of our strength depends on it. Original journalism also means new journalism. We need to be more innovative and more experimental in how and where we look for stories and, equally, in how and where we display them. With this in mind, we will build a NewsLabs team. It will include bringing together and expanding what we are already doing in data journalism and visual journalism. And it will be the place where we look to develop new formats, whether they are in radio, television or online. BBCtrending, for example, is showing us the way. When we look ahead, we all know we face new challenges. A galloping technology revolution is rapidly changing the way people get the news and, as they turn to mobile and social media, we need to move at their pace not ours. BBC News Online is seriously good. We do large traffic numbers and high quality content: few others can say that. @BBCbreaking just announced it has 8 million followers, only three months after announcing it had 7 million. If you look at our Hindi and Hausa web and mobile services, you’ll see we’re digital news leaders around the world. But the consumption of news is changing before our eyes. To meet the expectations of audiences and licence fee payers, we will need to be available everywhere, for everyone, now. For that, we are going to need new products, new ways of working and new tools. New digital products: In part, that means evolving, at pace. In addition, it means new ways of delivering the news – via mobile apps, via social media and via web-connected TVs. We need to develop news products that are more responsive, more prone to personalisation, more adaptable to any device. And we need to have a far more open culture, where we surface much more third party and social content alongside our own journalism. When we talk about ‘our stories’, I hope that will mean not just the work of the 8,000 people who work for the BBC, but the information and ideas of the 300 million people who use it. Enabling us all to be digital journalists: Technology will require us to work in different ways. We’re all digital journalists now. There will be editors, who, increasingly, will have responsibility for outputs across all platforms. If you work in the field, we want to ensure you have the tools to file rapidly. If you work in the newsroom, you need to work across online and broadcast systems. New use of data and new analytics tools: And we will use data to keep us alert, aware and informed of how news flows and grows. Real time insights into what is popular, breaking and trending right now across the BBC and beyond will be available to all journalists wherever they are. The budget: We are going to have to do this, while living within our means. As I said when I announced the latest round of DQF cuts in September, we are only just half way through a process of cost savings that will continue over the next two years. In News and the English Regions, we have committed to find just over £60 million of annual savings – or 14 per cent of our budget – by 2016/17. By April 2014, we will already have achieved £38 million of those savings. That means we have to find at least a further £20 million in savings. We are also going to have to find the funds to contribute to the extra £100m to invest in the iPlayer and deliver on Tony Hall’s vision of a creative, digital future for the BBC. And that’s before we can reallocate resources for anything new. I will, therefore, come back to you in the second half of next year with the next round of substantial DQF savings. If, before then, we see opportunities to save money, we will take them. We will have to look not only at efficiency savings, but cutting the scope of what we do – i.e. stopping doing some things. And, of course, all of us and all of our programmes stand or fall by the quality of our work. It is unsettling and wearying to go through these rounds of cost-cutting. But the Government froze the licence fee against a backdrop of cuts across public services, pressure on household budgets and downsizing elsewhere in the media. The reality we face, like so many other services and businesses, is that we are going to have to deliver more for less. People: In such circumstances, how are we going to make the BBC a better place to work? The answer, I think, is that we are going to have to make it possible for people to make more of their time at the BBC. This means making it easier to move around the BBC. We will set new timescales on job tenure, so that a junior journalist can request a move after three years and an editor would be expected to move after six years and certainly after eight. Now, I know, there are certain parts of News where this will be unworkable – i.e. for some people in international bureaux in the World Service or BBC Monitoring and in the local and regional offices in the English Regions – but that can’t deter us from trying. We have to make more of an effort to get people moving. We will also be rigorous about performance management: we will do a full performance review of all the senior managers in News and Current Affairs by Easter. Effective appraisals of everyone across News and Current Affairs will then roll out through the year. And I would like to make the management structures of the BBC make sense to people – de-layering where we can, ensuring that job titles are meaningful, enabling great journalists to stick with journalism, reducing meeting time and giving decision-making power to individuals rather than to boards. The reason for all of this is that we need to be an organisation that is flexible, effective and, frankly, faster on our feet. Much of what we want to do is common sense. We want to broaden the range of stories and voices on the BBC, which means enabling editors to edit. I want more variety between bulletins and programmes. And I think the likes of Newsnight, WATO and PM, Global and Impact, Question Time and, of course, Today, are strong precisely because their editors impose a distinct and different character on the programmes. We want the BBC to look and sound more like its audiences: while it’s been good to see Ritula Shah appointed to take over from Robin Lustig on the World Tonight, Laura Kuenssberg rejoining the BBC and Mishal Husain taking on Today, let’s be under no illusion that we are going to have to be very determined to address diversity on air and, equally, off it. We want more of our domestic news coverage to have the same power and impact as the best of our foreign coverage. So we will appoint on-air editors for Education and Health – and I would prefer it if one or more of those on-air editors for domestic coverage was based in Birmingham or Salford. We need to ensure our craft skills and story-telling are the best in the business: we have done a brilliant job moving into New Broadcasting House, now we need to make the most of it, enabling the technicians and engineers, designers and directors to show us the way to make our studios an essential part of that editorial, creative process. And we have to deal with, fairly and promptly, the bullying allegations in News, working with our colleagues in HR so that we move beyond old arguments to much better practices of candid feedback and a confident culture where people can try and fail, where people can experiment and innovate. All this comes at an historic moment for Global News. From next April, the World Service, in my opinion modern Britain’s greatest gift to the world, returns to licence fee funding. When I sit in our news conference and hear an editor from the Arabic service explain the ructions in Cairo or a Chinese colleague reveal the stories behind the Bo Xilai trial, it is clear to me that domestic audiences benefit immeasurably from our global operation. But, faced with new competition, we cannot squander what we have built around the world. The BBC has an ambition to reach a global audience of 500 million people by 2022. How are we going to get there? In part, the answer is by embracing new technologies to reach new audiences, by harnessing new forms of commercial funding and by embracing the 250 million people that already use our services. And, in part, by turning to the people in our global operations, on the ground around the world, to develop that plan. I have asked Sir Howard Stringer, the former chairman of Sony, to coordinate that effort and to set out his findings in the Spring of next year. New media give us a chance to serve, as we should, all audiences, in particular, young people, people on lower incomes, the lonely and the disabled. We can do some things by amplifying what we have got: we need to do more sports news, more consumer and personal finance news, more arts and culture news. We already have School Report in collaboration with BBC Learning, which operates in 1,000 schools across the country. We want to try to add a further 500 schools. We have a brilliant product and an under-exploited brand in Newsbeat: nationally and internationally, we have much to learn from the Newsbeat team about the kinds of stories we should be chasing and how to deliver them. And the BBC must strive to provide the best news services to disabled people across the country: to bolster disability news reporting, we will put real resources behind our Ouch! team – delivering first online, but across radio and TV, too. Of course, we have our critics. They say we are too big, too lazy, too wasteful, too left-wing – (a few say we’re too right-wing) – too monolithic, too insensitive, too white, too male, too old. And we have no business being defensive or, even worse, dismissive of such criticism. We must, genuinely, be alive to our critics, but we must not be cowed by them. Ultimately, our answer to them is and will be our journalism. And then there are people within the BBC who, as one person put it to me, are proud but, how should I put this, frustrated. Again, I really hope we can listen to and address those concerns. But let’s not mistake either the external criticism or those internal issues for our real challenges. We must be an outward-looking news organisation, not one distracted by ourselves. For my view is that if we don’t make the case for ourselves, no one will make it for us. And it is an extraordinary case: 81 per cent of people in this country come to us for the news; 58 per cent say the BBC is their most trusted provider; and for £2.80, the price of a tube ticket from TV Centre to New Broadcasting House, we provide seven days of News and Current Affairs, not just in English, but 27 other languages. And, oh yes, we throw in Strictly, Doctor Who, David Attenborough and Mary Berry – just because we like you. But the real value of what we do goes beyond the financial. Take a look at this and I defy you to find any news organisation in the world that is doing as much and as well as the BBC. When we look out from this building at the world around us, it is clear we are living through an age of realignment – from West to East, from North to South, from the institution to the individual. Over the next three years, this country will face historic choices. Next year will see not just the local and European elections, but, in September, the Scottish referendum. In May 2015, we face a General Election. And, within a couple of years after that, we face the possibility of a vote on Britain’s place in or out of Europe. These years promise to be the most consequential for this country, for our democracy and our place in the world as any in a generation. There has never been a more important time for us to deliver on that singular purpose of the BBC: to inform. No one has put it better than John Reith. That’s our mission. We have got to deliver on that. We have to maintain an uncompromising commitment to accuracy, impartiality, diversity of opinion and the fair treatment of people in the news. We must strive to safeguard the public’s trust, to give voice to a wide range of views and to deliver ever-greater value to the licence fee payer. 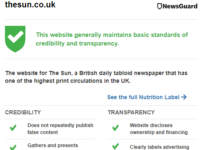 For our task is to demonstrate the public value of curious, responsible journalism, showing that it can empower the individual, enable democracy, improve society. We are here to inform – and we must seek to do that for everybody.